It’s tough. It’s outdoorsy. It rolls with the punches. No, we’re not talking about the old Nalgene bottle you’ve been toting around since college. We’re talking, of course, about vinyl: the durable, rugged, and highly versatile label material that many Frontier customers have used on everything from pool floats to shampoo bottles to bumper stickers. Indeed, vinyl isn’t just for making pleather pants or rock ‘n roll; it’s a go-to choice for makers of products that need their labels to stand up to the elements, rough use, you name it. Now, we should start by saying that custom vinyl labels aren’t the toughest player in the game—in other words, if your label is coming into contact with harsh chemicals or high heat, you may want to chat with our experts about the best and safest solution for you. But if you’re not transporting kryptonite, our custom white vinyl or clear vinyl labels just might be your best bet. Here’s why. Vinyl’s durability makes it one of the most versatile label materials out there, because it’s a perfect fit for everything from artisanal pickles to toothpaste. Selling delicious foodstuffs? Vinyl is waterproof and oil-resistant, and with its temperature-resistant adhesive, it’ll survive the dishwasher, too. Our solvent-based adhesive means your vinyl label will stay put, even if it’s on a bottle of soap that lives in a damp, humid shower. For recreational products, there’s no comparison. Vinyl can stick it out in the elements without wear and tear, and is resistant to scratches and tears making it an ideal choice for things like bikes, rafts, kayaks, sports water bottles, or anything else you might spot in an R.E.I. catalogue. If a product is going to be exposed to the great outdoors for an extended period of time, it could probably benefit from having vinyl at its side, buddy system style. Need a label for heavy machinery? 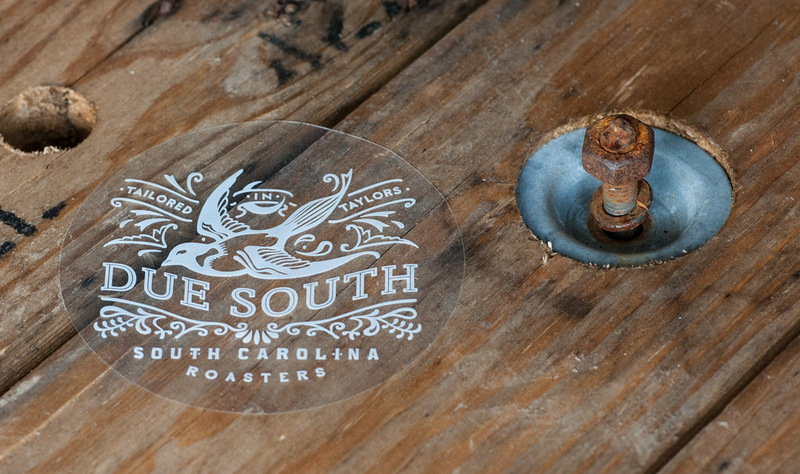 Custom vinyl labels can take a beating. Our customers who need to apply labels to machinery opt for vinyl because it’s one of the only materials on the market that can stand up to that kind of heavy usage so resiliently. And look darn good while doing it, we might add. Vinyl has a little more give when temperature causes it to expand or shrink. And it’s less rigid than other materials, making it perfect for slapping on bottles with a tighter radius, or packaging that requires squeezing, such as shampoos, lotions, or toothpastes. It’ll fit like a perfect pair of pleather pants. Vinyl costs a bit more than standard white or clear plastic, and while vinyl is much more durable, sometimes it might make sense to opt for plastic instead. If you’re on the fence about whether to spring for vinyl, give us a call and we’ll help walk you through it to see what’s best for your specific needs. Ask us for our free Sample Pack too, and see for yourself!